Karma Kit by GeekVape Review: Serious Mech Mod Action! The Karma Kit by GeekVape is designed for power-users, those that like big clouds and massive flavour. I had the pleasure of spending a couple of weeks with the Karma Kit by GeekVape and this is my full report on the vape setup. Over the past 12 months we’ve reviewed a bunch of GeekVape gear – the Griffin 25 RTA, Eagle RTA, the Avocado 24mm RDTA. Most of these tanks were very decent; the only slightly iffy one was the Griffin 25 which was very tricky to wick. But what we have for you today is a mech mod with a matching RDTA/RDA tank on top of it. 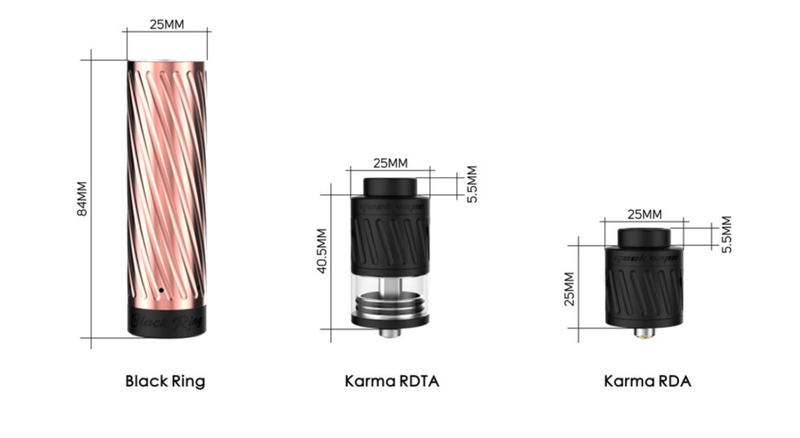 So how does the Karma Kit by GeekVape stack up compared to the best of the rest in the world of mech mod vaping? GeekVape’s packing is always a pleasure to behold. I love the styling – black and orange – and how well everything is put together. The quality that goes into the packaging ensures your gear always arrives free from bumps and kicks and, as an added bonus, looks suitably impressive when you pull it from its shipping box. You also have a manual, battery safety card and a warranty card. 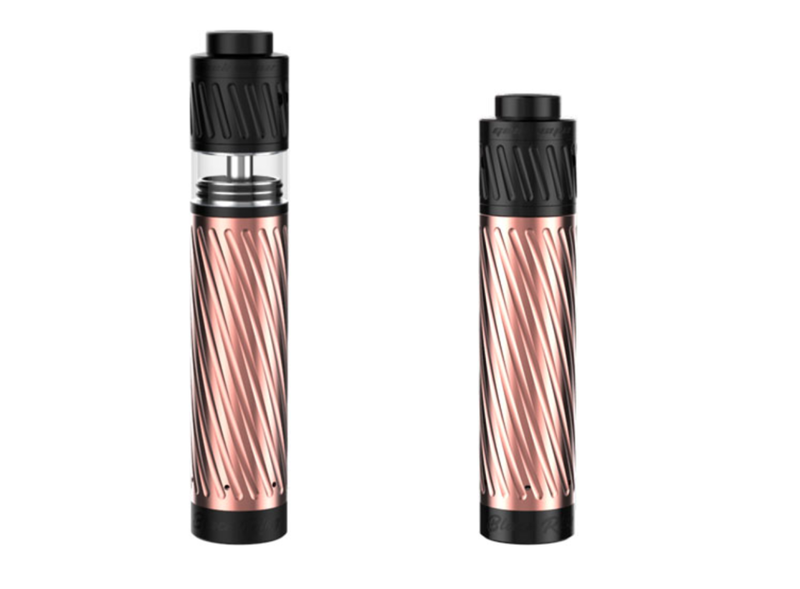 The actual tube is very nicely done with a spiral-type engraved grooves on the body and an insulated inner tube that will help in the prevention of the battery shorting out. 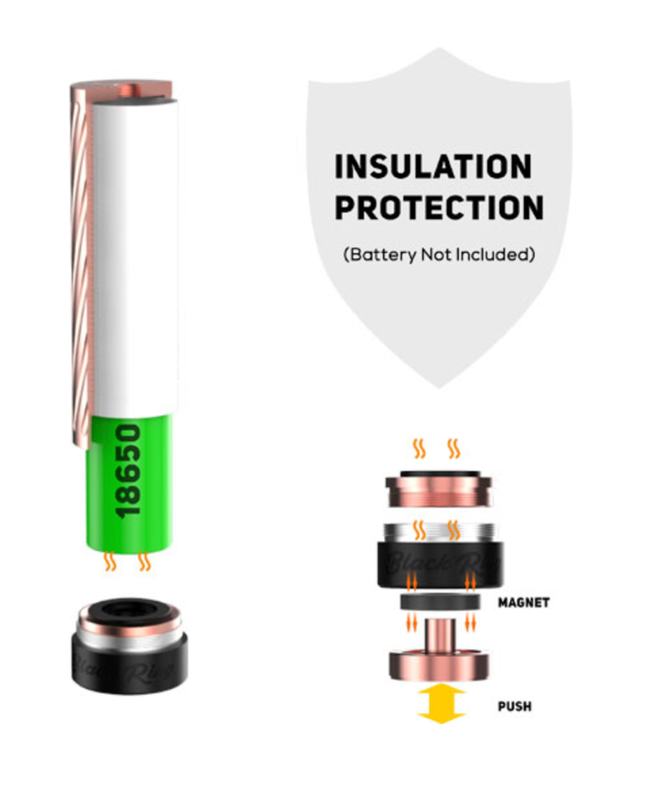 The button is magnetic and is adjustable to accommodate any 18650 cell. You can fully disassemble and reassemble the switch for cleaning. 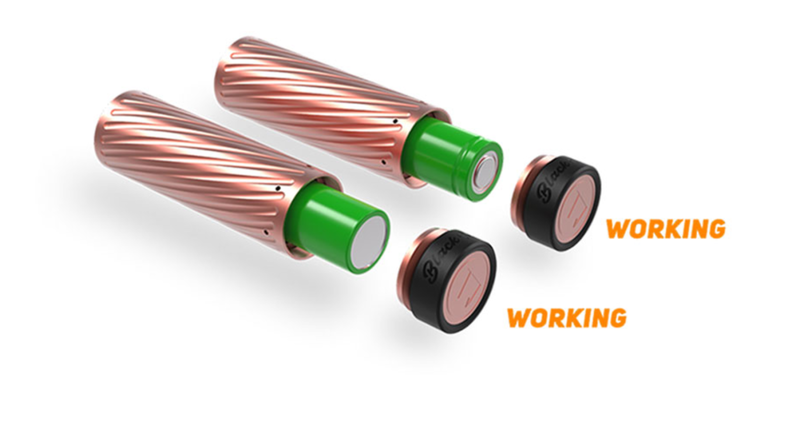 Copper is used throughout to assure no voltage drop while using the Karma Kit by GeekVape. The RDA/RDTA the Karma Kit by GeekVape ships with is a freakin’ BEAST. 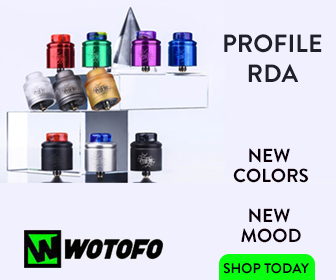 Being able to transform into either an RDA or RDTA with just a simple taking out of a center post extension and glass section is a major USP. 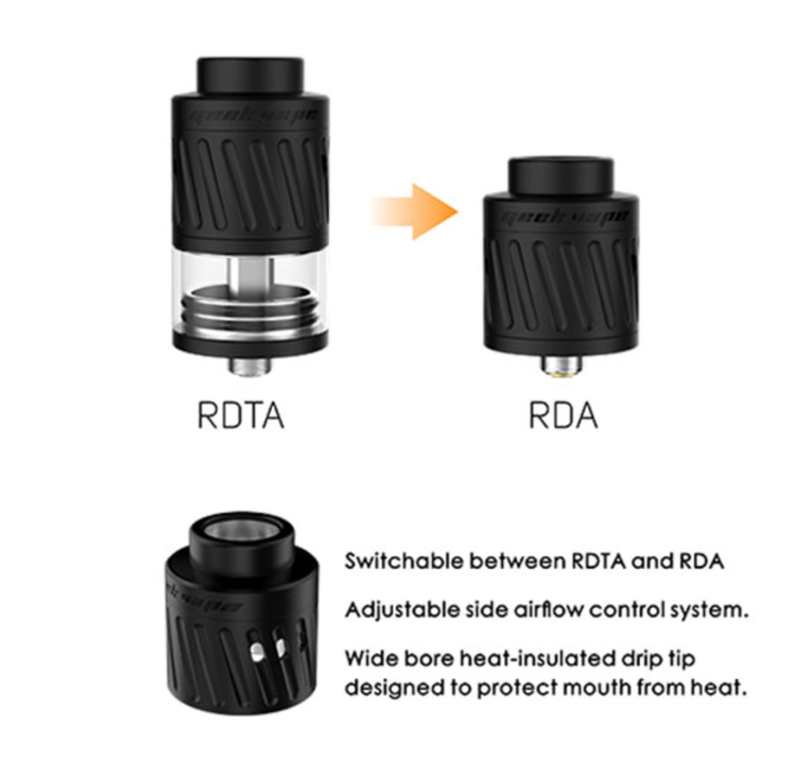 Very easy to build on with enough room for those exotic builds and normal builds alike, the RDTA has a very easy side fill port thats very wide. 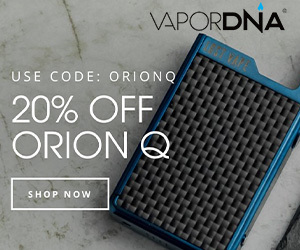 The only con that I have with the RDA/RDTA is the tip – it’s very short! Still, it never got too hot during testing which was surprising and a testament to GeekVape’s engineering pedigree. It’s still too short for my liking, though, so I ended up buying an aftermarket TFV7 drip tip from my local vape shop. The battery can be inserted either way. With a fully charged Sony VTC5 and a dual basic 4 wrap over 3.0mm using 24g wire and coming in at a cool .19 ohms I was ready to rock, and rock I did. Firing each and every time and getting those fluffy thick clouds that only a mech can give you was amazing. I ran a few other RDAs such as The Recoil, Troll v2 and Twisted Messes with no problems at all. The Karma performs like a champ and really has found itself a regular slot in my mod rotation. The fire switch is smooth and works as it should. The Karma is 25mm but doesn’t look bad with a 24mm RDA on top. The Karma does get slightly warm which is normal for a mech mod. But importantly it doesn’t get uncomfortably hot. I did run Samsung 25R5 cells in the Karma along with the Sony VTC5 and the Karma never failed me. When on the go I rock the Karma’s RDTA option as having a small tank is a big plus for me as it takes up less room in my pocket or jacket. The Karma Kit by GeekVape has given me a new found respect for power and benefits of mech mods. It’s simple to use, easy to setup, it looks STUNNING and it vapes like it has a nuclear reactor inside it. For the mech beginner and mech pro the Karma Kit by GeekVape will give you exactly what you want – flavor and clouds in abundance. 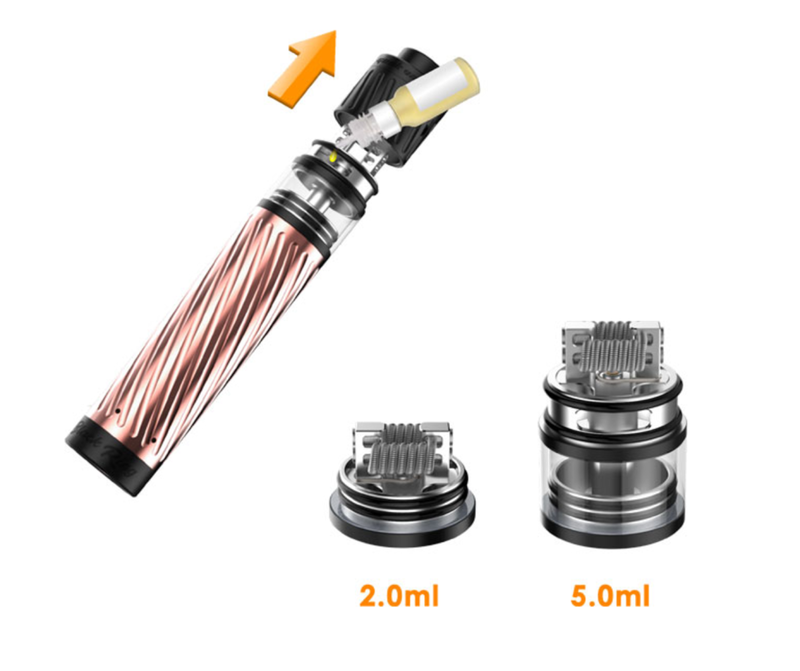 This is the perfect mech mod for those looking to get started with mech mod vaping.